It is recommended that you carefully weigh in all the factors before you decide to undergo the LASIK procedure. Keep in mind that LASIK is almost always an elective surgical procedure with no pressing medical need to have it done. It also means that you can choose where and when to go for it. The alternatives of wearing spectacles or contact lenses should always be considered first before surgery. The results vary from person to person, make sure you consult with your doctor and discuss what your expectations should be, finding an experienced doctor will also be helpful in increasing your success rate. Make sure you are able to choose an experienced LASIK doctor with good reputation and great equipment. Ask about the devices they use and compare between your options of surgeons. Gather all the information that is available to you, such as patient handbooks provided by your doctors or the manufacturer of the device used in the procedure. Reviews of the establishments you’re considering having the surgery. Credible sources of information online such as this FAQs provided by the U.S Food and Drug Administration (http://www.fda.gov/MedicalDevices/ProductsandMedicalProcedures/SurgeryandLifeSupport/LASIK/ucm061293.htm), or any information that is provided by your local government organizations and large, creditable device manufacturers. Not only you should carefully compare surgeons or the establishment they work at, the comparison of devices that would be used in the procedure is also important, malfunction of a device or other related errors will increase the risks of complication and other unfortunate events drastically. Ask about the devices and compare between them based on credible information. Also, be wary of establishment that makes promises like “perfect vision after procedures or money back”, as the results highly depend on the conditions of each patient, don’t choose your procedure provider based solely on pricing or promises. Additionally, an experienced LASIK surgeon not only would be able to help you understand the risks involved and provide better help with your evaluation, he or she will also decrease the risks of the procedure greatly. Finally, before the surgery, you will be required to sign an informed consent form. This means that you understand the nature, benefits and risks of undergoing the procedure. Lasik surgery cannot be reversed and there is no guarantee of achieving perfect vision. 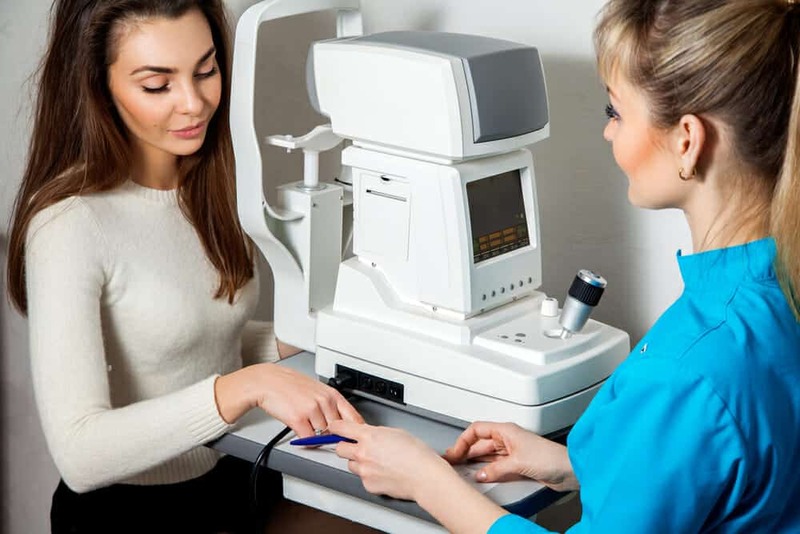 People who are very fussy about their vision or who have great difficulty finding a suitable prescription for their glasses are advised against going for Lasik. Note that in some cases, your eye surgeon may advise on deliberate under-correction of one eye for mono-vision correction (see Q. 34 What is mono-vision correction?). You should also be aware that additional “enhancement” surgery may be needed to get the best possible vision after LASIK.